Place the cars in the starting gate, flip up the ramp and they're off. Side-by-side racing excitement gets a special twist as two cool race cars race down the spirals and turns. 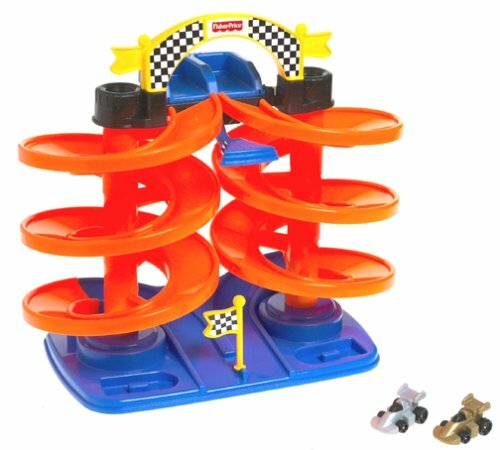 Kids can hear the engines start and rev by pressing the back of starting gate, or press the front lever for "supersonic" racing sounds. Features an easy-carry handle. Requires 2 "AA" alkaline batteries (not included). Measures approximately 18 inches tall.